In Afrikaans there is a saying:“nuwe besems vee skoon” – “new brooms sweep clean” which implies that new employees often bring change or renewal to business. Is this the case with the appointment of the FSCA’s new Divisional Executive for Investigations and Enforcement? Mr Brandon Topham joined the FSCA on 1 February 2019 as Divisional Executive for Investigations and Enforcement. He is an accomplished business executive with considerable local and international experience in corporate governance, finance and commercial law. According to the FSCA’s 2018 Strategy Document the Investigations and Enforcement division “will carry out investigations into market abuse matters and other potential contraventions of financial sector laws, as provided for in the FSR Act. It will also perform assessments on complaints or other matters referred to it, in collaboration with the Supervision divisions to determine the need for enforcement action. The division will also implement agreed enforcement actions in accordance with FSCA protocols, including administrative penalties directed by applicable FSCA decision-making processes. The division will also be expected to support the FSCA (in particular the Supervision divisions) in identifying and supporting priority enforcement initiatives”. At a media roundtable discussion in Cape Town recently, Topham discussed the financial sector regulator’s approach to investigations and enforcement. Various media, including Netwerk24, BusinessLive and Moneyweb reported on the roundtable discussion. “In the old FSB, this department was much smaller. It was a support service for the FSB. With the change in legislation, the importance of being proactive and not just reactive has become emphasised, which is why we have established a separate division within the FSCA.” Topham explained. The FSCA investigations team has been increased to 60 people and it can also outsource investigations if it requires additional capacity. Patrick Cairns of Moneyweb reports that Topham is determined that these changes will make their investigations, and the enforcement actions that may follow, more efficient. 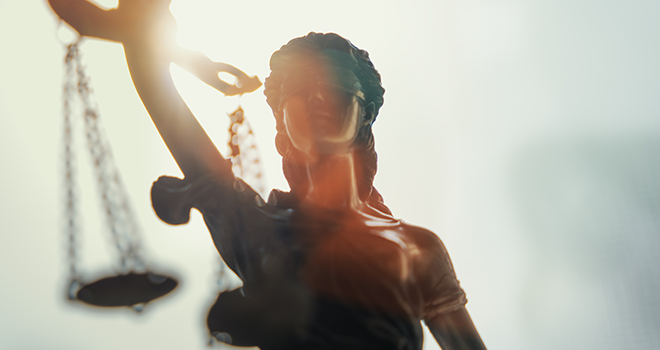 Topham shared a recent example where the regulator was able to act within just one week of receiving a complaint against a licenced representative who was misappropriating clients’ funds. Having scrutinised what he was doing, the FSCA conducted an early morning search and seizure operation at his premises. Although this is not possible in every case, Topham believes that the regulator can, and should, move more quickly when the public is at risk. This is an undertaking that not only the public, but the whole financial services industry will welcome. Under the Financial Sector Regulation Act the FSCA can now — unlike when it served as the enforcement division of its forerunner, the FSB — take action against unlicensed entities by debarring them. Topham indicated that he will continue to warn the public against such operators. A few of these Notices have been shared with the media under his new management. The new legislation also helps the FSCA to stop loopholes where the public invest in “funny or different schemes” that do not meet the definition of a financial product. The FSCA will now be able to declare any scheme or product a financial product. “This gives us an opportunity to expand the definition of a financial product as innovation and technology continues to play a role in investment schemes”, Topham said. He also disclosed that he wants to see close cooperation between the FSCA and the National Prosecuting Authority (NPA). “There are a number of cases where the regulator has investigated and identified potential criminal activity, but the matters either take many years to get to court or no criminal conviction is obtained”, he said. There are quite a lot of objectives and plans of action for the FSCA’s Investigations and Enforcement team. If implemented as planned, we can expect far more effective detection and action against transgressors in the financial services industry. Click here to read the Moneyweb and BusinessLive articles.